El Nido, gem of the world’s most beautiful island: Palawan. 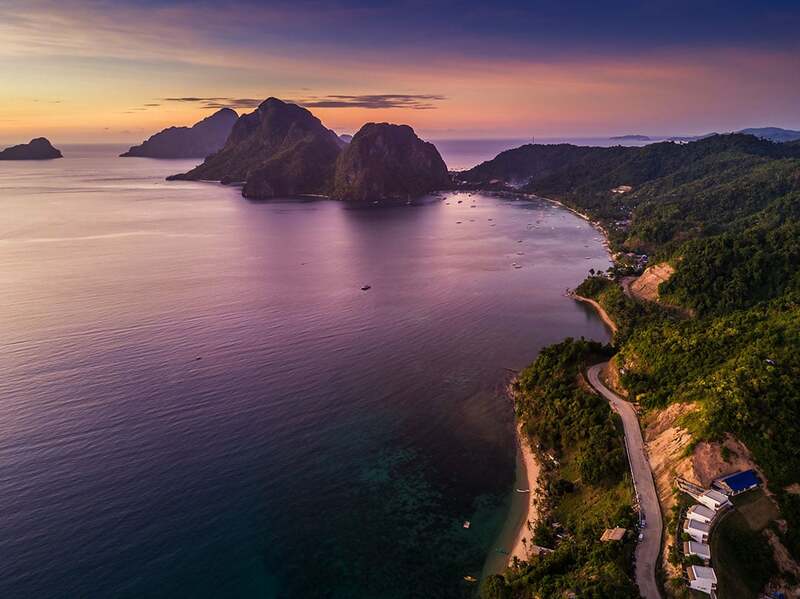 I was excited to go back to the Philippines after a two-month break in my home country in the Netherlands because I knew that I’ll be visiting the most scenic island of the Philippines which would mean a perfect place to photograph and, of course, to try my new Mavic drone. I knew I would get great shots with my new drone. When I searched for the top places to go in the Philippines, El Nido on Palawan Island immediately came on top of the search engines. After all, Palawan is dubbed as the best island in the country, and constantly on the list of the best in the world. 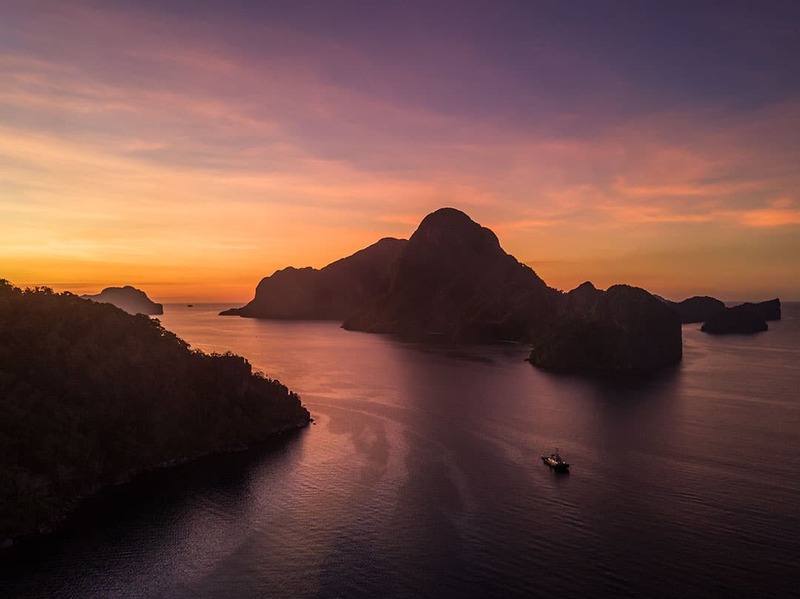 Travel+Leisure, a travel magazine, named Palawan Island the best island in the world three times in a row since 2015. 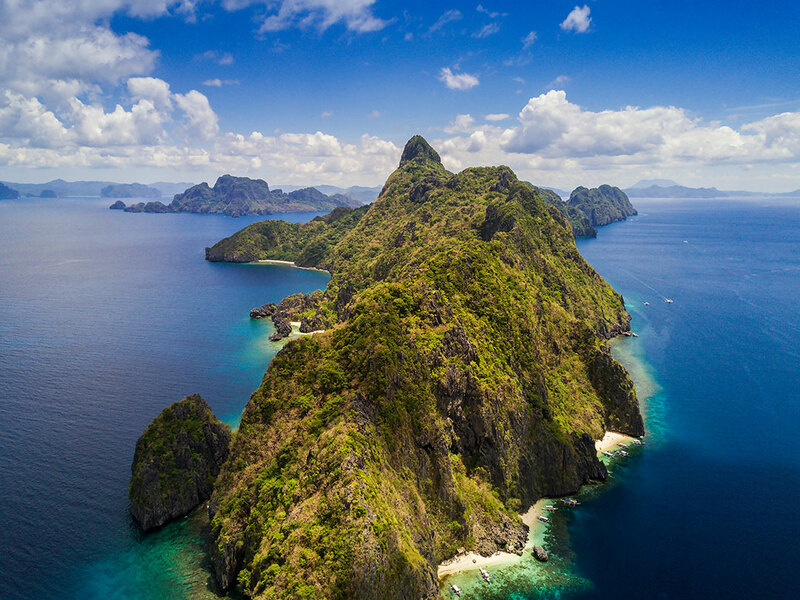 El Nido is located north of Palawan Island. The small town is nestled amongst limestone cliffs. The coast is lined with one of the finest and whitest sands in the world. The crystalline blue waters are dotted with numerous rock islands that also boast their own white sand beaches. This is the most common route that tourists take. From Manila, fly to Puerto Princesa then take a van going to EL Nido for 400-500 pesos per person. The ride takes about 6 hours. From Coron there’s daily boats going to El Nido. There’s fast one (4 hours) and slow one (6-9 hours). Take the fast one, the waves can get pretty rough! More expensive but the quickest way to go to El Nido; it only takes an hour flight from Manila to El Nido. Mind the 10kg baggage limit. El Nido is filled with high-end hotels as well as backpacker hostels, which are good for budget travelers. We ended up staying in two places during our one week here. One of the cheapest place to stay. Located in El Nido town, it is also a 3-minute walk to the beach. We paid 1000 pesos for a room that is good for three people. However, this is definitely one of the examples of the phrase “you get what you pay for”. The room is very small, smelly, and warm even with a fan on; the water in the shower also smells bad, you’d almost feel dirtier than before you showered. Sometimes, after a long day island hopping and exploring El Nido, you just need to have a nice refreshing shower in a clean room, don’t we all? And for those who work online, the wifi cannot be depended on. This brand new midrange hotel offers bunk beds (800 pesos) in dorms as well as rooms (2000 pesos) and suites (3000 pesos). It is located in front of Alexzus Backpackers. The rooms are clean, hot showers work perfectly, and the staff is tremendously friendly and helpful. The wifi works fast although not readily available inside the rooms. Just imagine our relief when we transferred from Alezxus just across the street, which was totally different from Amakan. We ended up staying 5 days in the hotel. Almost everything in El Nido is relatively expensive, even the low-end ones. We had most our food in town, just walking distance from our accommodation. Or at Amakan, where we stayed. Midtown Bakery – offers fresh bread daily for take-away. Try the pan de sal (2 pesos a-piece), the Filipino bread, which is a perfect pair for your hot coffee. Kaptain’s Diner – Asian restaurant that serves cheap but good quality curries. La Salanggane – a French restaurant with a nice view of the beach where we also found the amazing Raclette dish even the Swiss customers approve. Amakan Restaurant – the hotel where we stayed in serves European and Filipino dishes. I had the best omelet I ever tasted in the Philippines. Food and service are great! Sign up with a tour agency or get yourself a private and customized island tour to the highlights of El Nido. Read the separate post about island hopping Private Island Hopping Tour – The Best Experience. Drive 16 kilometers north on a motorbike to one of the best beaches in the world. Read the separate post about Nacpan beach Nacpan Beach: Travel Guide To One Of The Best Beaches In The World. Lay on the sand or on the dock on a moonless night to see the Milky Way rise. 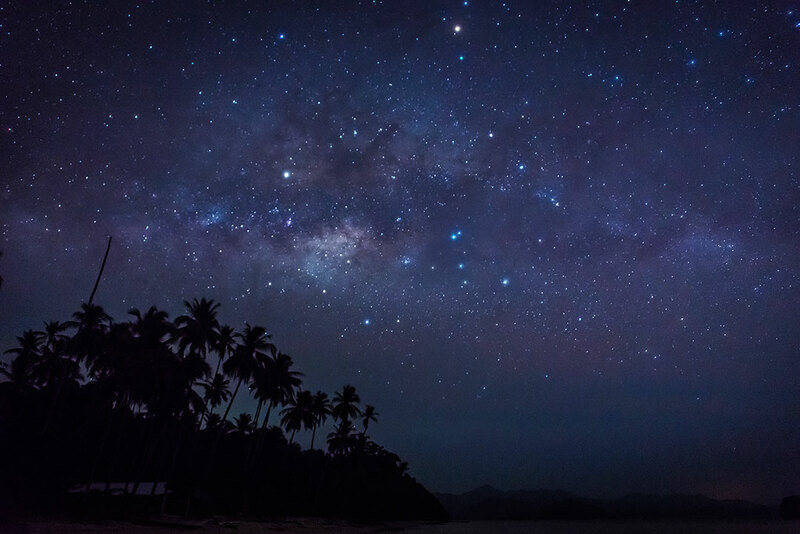 The Milky Way can be clearly seen between the months of March to August on this side of El Nido. 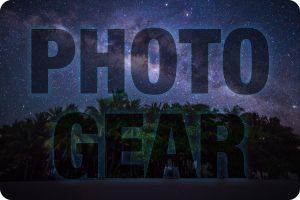 Not a lot of people do this, but the landscapes of Palawan give a perfect foreground for any stargazers out there. But unless you’re staying at the islands, it can be hard to find a good spot to shoot it, depending on the time of year. 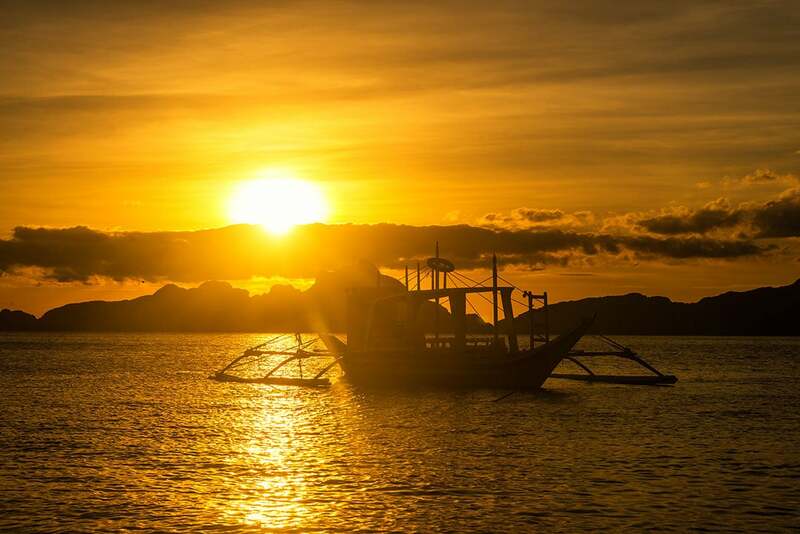 Located 5 kilometers from El Nido town, it is a wonderful white sand beach where you can watch the sunset and chill. There’s a small bar that offers fresh drinks while you sunbathe and listen to funky music. There was not a day that the sunset disappointed us. 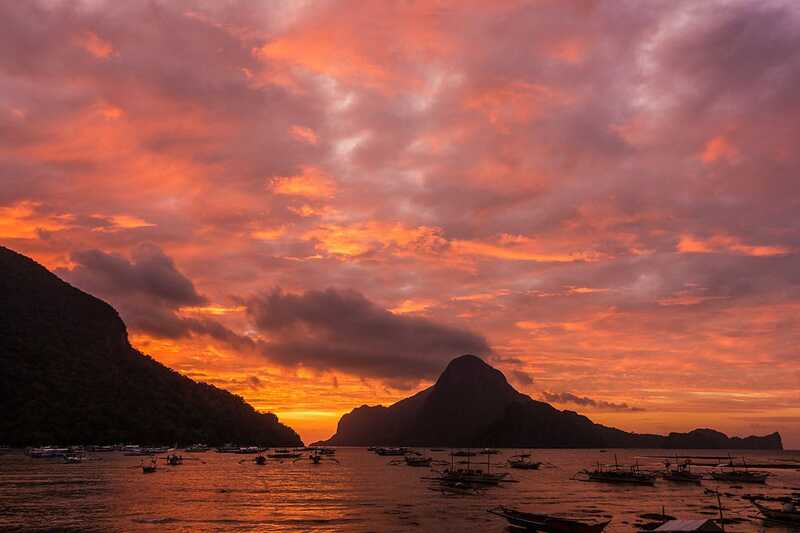 Lounge on any beach in El Nido and you will be rewarded with this gorgeous spectacle. Always bring an insect repellent and/or have a Malaria prophylaxis. Palawan is known to be Malaria-endemic. I was bitten by hundreds of sandflies and mosquitoes in San Vicente and in El Nido while shooting the sunset. There are four ATM’s in own but there was only one working during our stay. So withdraw your money when there’s not a long line of tourists waiting for their turn to the ATM. We see this especially at night when plenty of tourists come back from their islands trips and everyone just decides to get money from the machine. Even better, stock up on cash before you come here, like Coron or Puerto Princesa. El Nido truly lives up to Palawan’s reputation as the best Island in the Philippines and in the world. It is very picturesque and an excellent place to shoot photos or fly a drone. This fame draws a lot of tourists as well, so be prepared to share the stunning beaches. However, there are plenty of options off the main El Nido attractions where you can actually have a bit of privacy. Explore more off the beaten track in the area..
Don’t miss the separate chapters of El Nido Private tours and Nacpan beach. Watch my El Nido photos and drone movies at my portfolio. Follow my Travel Imagez Instagram account for awesome photos & videos! 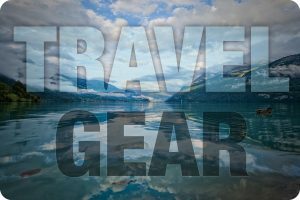 Like my Travel Imagez Facebook page to follow me on all my updates! Subscribe to my Travel Imagez Youtube channel to stay updated on all my time lapse & drone videos! I really understand how it can be named the best for travel, or the most beautiful place. What I don’t understand is how you managed to make so many amazing pictures and videos without people in them? I would assume there would be hordes of people everywhere, yet Long Beach video, with the dark clouds, doesn’t have any? Was it because of the weather or did you manage to catch those moments because you stayed there for 2 months? Haha yes you’re very right, don’t miss Batad though! I don’t like people in my images or videos, to me it’s about the location and not the people, who take away attention from the landscape or subject. So sometimes it’s really hard to achieve that (waiting..), but in the case of Long Beach we were only there for that one day and there barely were any people. I did wait a few minutes for some locals on motorbikes to pass and leave, but otherwise it was just very empty. Also, getting up early is a good way to avoid to the crowds, that was at 6am by the way! 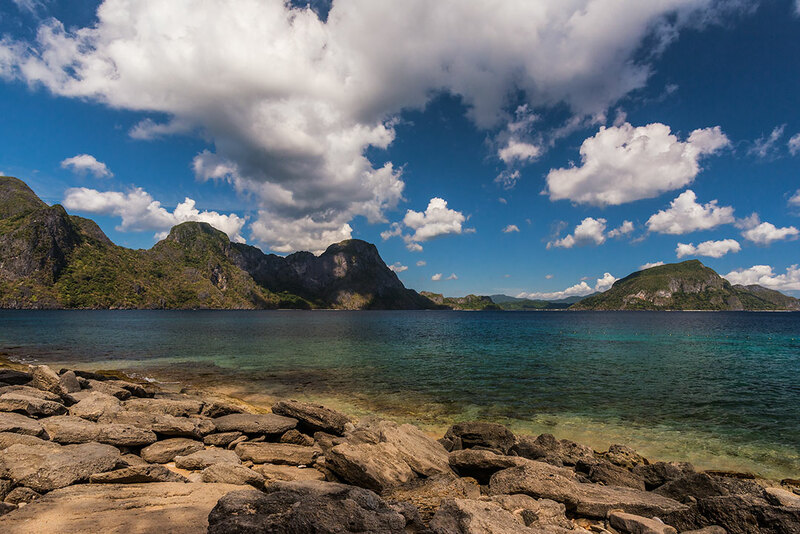 Truly stunning photos that capture the astounding beauty of El Nido! I have put the Philippines on my ‘must-see’ list and now it’s definitely right at the top! I was travelling in Malaysia recently and thought about heading over, but I’m glad I didn’t because it’s clear to me that a rushed trip there would not have done it justice. Next time! Cool! Thanks Meg, have a great time when you get there. Check out the Batanes post, now that is a truly stunning and off the beaten track location! One of my best trips ever. Hahaha many thanks 🙂 Did you visit Coron Island as well? If not, don’t miss that next time! El Nido is without doubt stunning. Your photography shows a different side of the island, from the ones I am used to see. 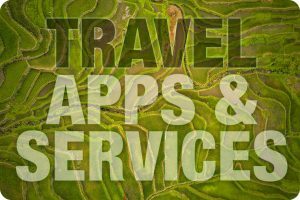 The best time to visit should be during the low season, otherwise tourism is a killer. We were there during high season though, but that’s why we organized our own tour to avoid the big crowds. The photos are just breathtaking. So beautiful. Wow, I have always wanted to go to the Philippines. Love your photos, just wow. They reminded me of Lost series! Great post. The photos are beautiful, almost surreal! I’m surely going to Philippines once in my lifetime! The captures and videos are just breath taking, really stunning. Thanks for sharing your great work with us all. 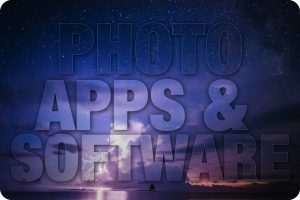 Wow stunning photos! Thanks for sharing as I had little idea about El Nido prior to this. Thanks, glad I was able to tip to you! If you ever go there, don’t miss Coron Island! Love the evening and sunset photos…truly stunning. Thanks for the great post! I’m so excited to explore Palawan in November. I think it’s much more beautiful than Halong Bay in Vietnam. Which tour do you recommend me to choose? Because I just have 2 days there, I wanna discover the most beautiful one. Thanks in advance!